PowerCell, a leading fuel cell developer based in Sweden, has announced that it has made a new range extender for electric vehicles. As clean transportation becomes more popular, electric vehicles are beginning to attract more attention. These vehicles are often favored because they produce no harmful emissions, but there are concerns regarding their efficiency. Conventional electric vehicles have relatively limited operational range, which is why range extenders are needed in the clean transportation space. The company developed its new range extender through the MoRE Zero project. The aim of this project is to boost consumer awareness of electric vehicles and promote these vehicles as viable transportation solutions. 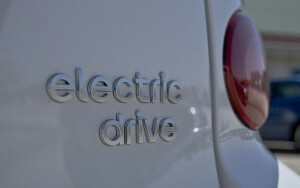 One of the ways the project aims to make electric vehicles more attractive to consumers involves extending the operational range of these vehicles. This is to be accomplished through the use of hydrogen fuel cells. Fuel cells have become relatively popular energy systems in recent years. These energy systems typically use hydrogen to produce electrical power. As range extenders, fuel cells are quite effective, as they are capable of producing a large amount of electrical power relatively efficiently. PowerCell will be demonstrating its new fuel cell system for electric vehicles with the aid of the Swedish Energy Agency. The fuel cell system will be able to provide as much as 25 kilowatts to a vehicle’s battery. Clean transportation is becoming a priority in much of Europe. Several European countries have embraced strict emissions regulations, some of which were proposed by the European Union. Many countries have also set ambitious emissions reduction goals for themselves. This has placed a great deal of pressure on the transportation space. As emissions reduction becomes more important, automakers are having to develop clean vehicles in order to comply with new regulations and continue doing business in their favored markets.